Michelle Bachelet, in her second term as President of Chile has redoubled efforts,to return large sections of land to Mapuche ownership, especially in the region near Temuco. 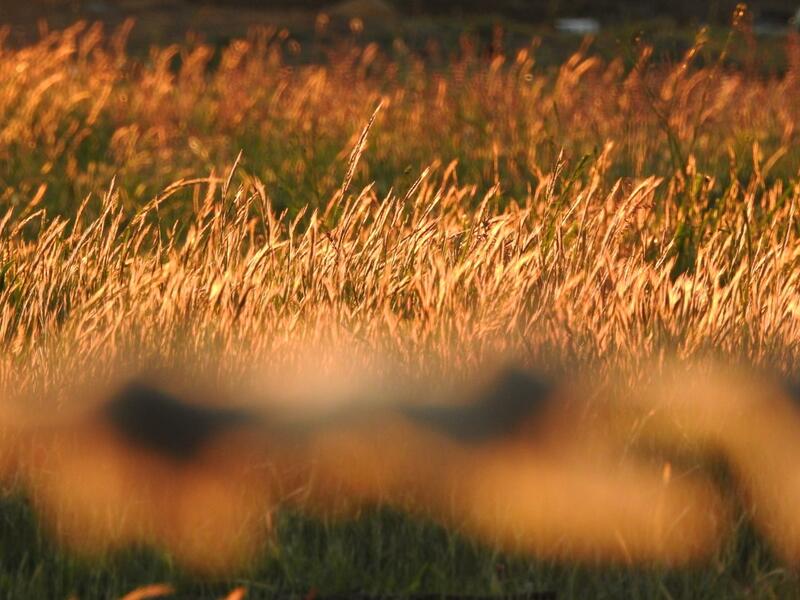 At the same time, these efforts have been undermined by large corporate forestry concessions that stand between the essential water run-off from the Andes that would ordinarily feed the streams and rivers of Araucania. 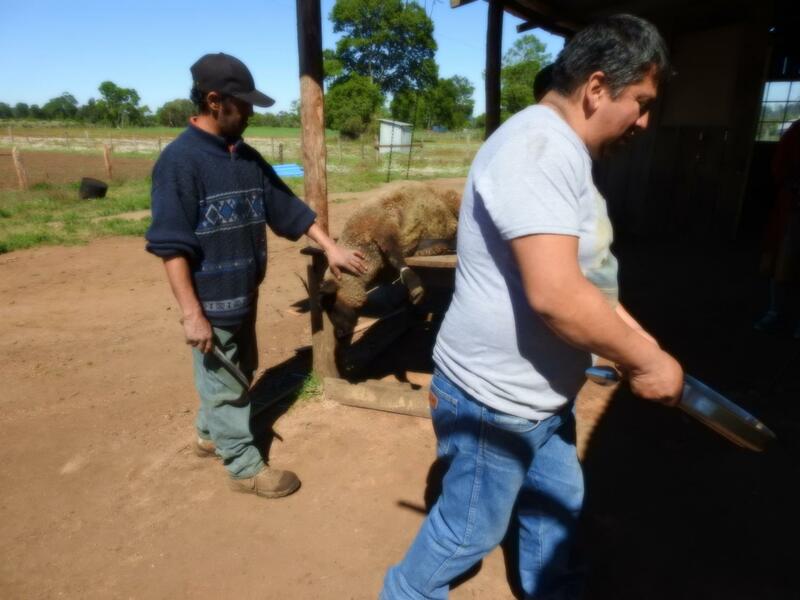 In the years subsequent to the development of these concessions, there has been an increase in the number and scale of forest fires in the region that devastate important tracts of land and compromise water quality, water that the Mapuche depend on to sustain their small-scale farms. It was a great honour to have been accepted into the humble home of Gabriel and Francisca. 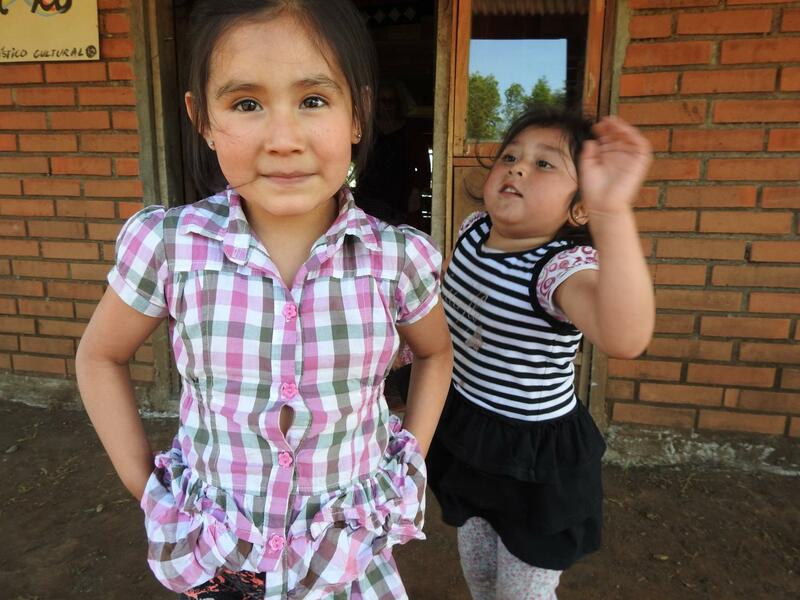 Three of us, all members of the collective "Native Immigrant" stayed in their home to assist them in the opening of their cultural arts center "Newen Ko" in the small community of Juan Andres Cheuque in Araucania. Within a day of our arrival, several local government officials arrived, extremely interested in what we were doing there. We were presenting our collective dress project "Visions of Peace" to community members and requesting their participation. I used the opportunity to document the daily life of this very kind and generous family, who use every means available to maintain a self-sufficient lifestyle, one that is their cultural heritage and birthright as the original people of this region. On this small homestead in Juan Andres Cheuque, under the watchful eye of Volcan Lonquimay, Gabriel and Francisca maintain a herd of roughly 30 cattle. 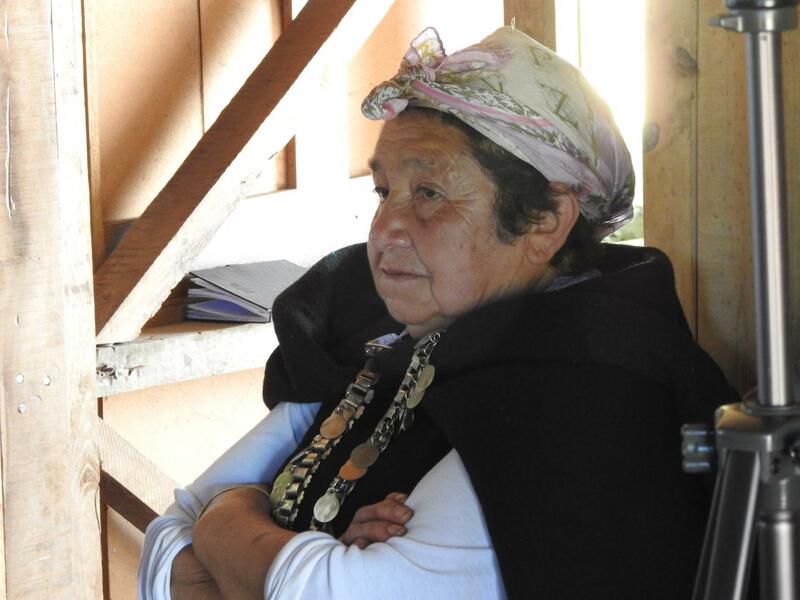 The Mapuche are the indigenous people that inhabit the central-south of Chile in the Araucania region. 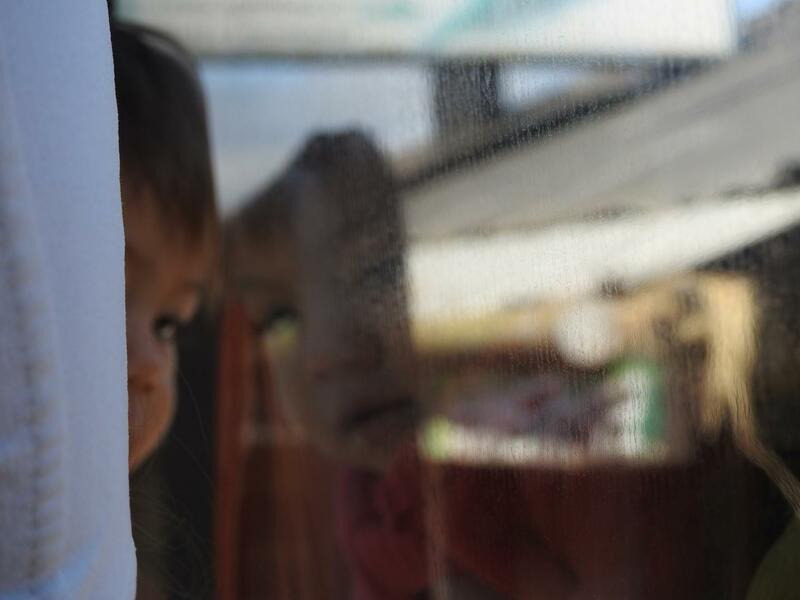 Recent years have seen a resurgence in the politics of Mapuche cultural identity and language. Land conflicts often arise over disputes with logging companies growing artificial forests of pine and eucalyptus. 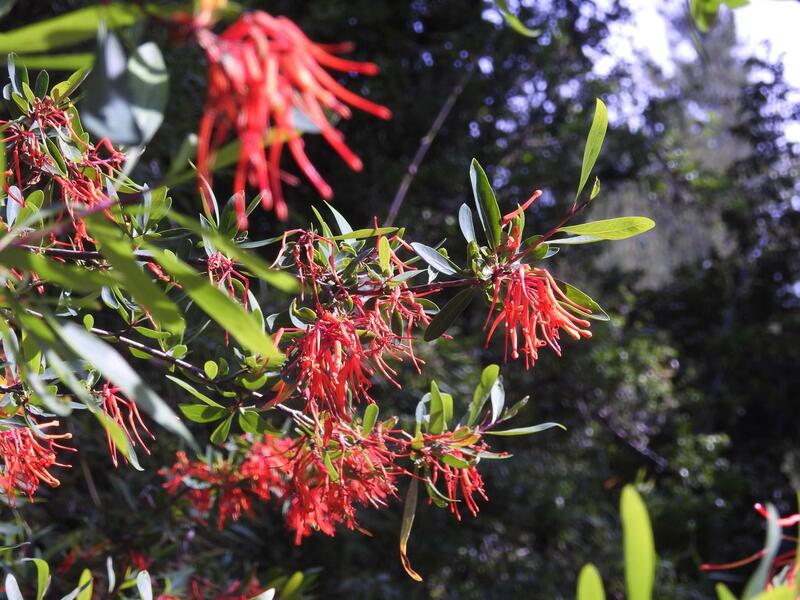 These highly flammable trees, which have replaced much of the natural vegetation of the region, are also responsible for using up tremendous amounts of water resources that are badly needed in these fledging agricultural communities. Francisca and Gabriel recently returned to rural life; he used to work in a mine in the north of the country and she used to work as a maid in Santiago. 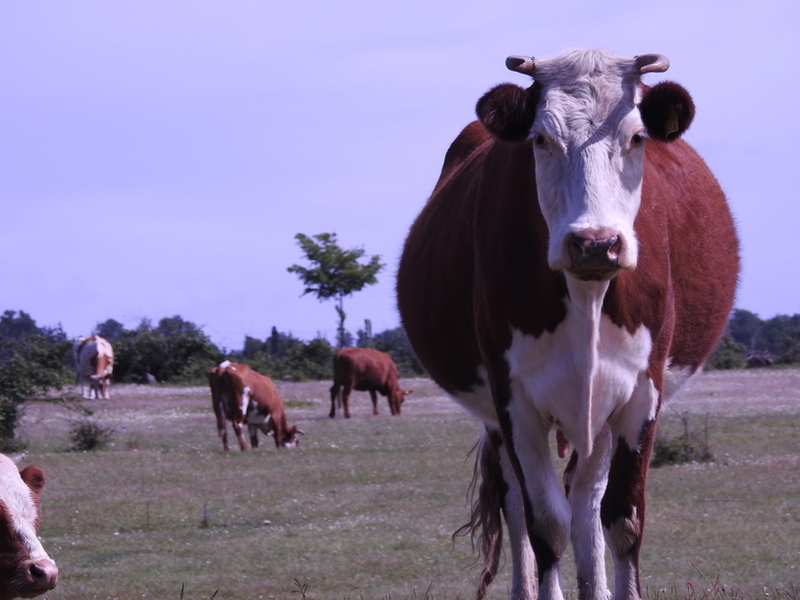 Four years ago they acquired a small section (50 ha) of land, about an hour and a half into the countryside near Temuco. 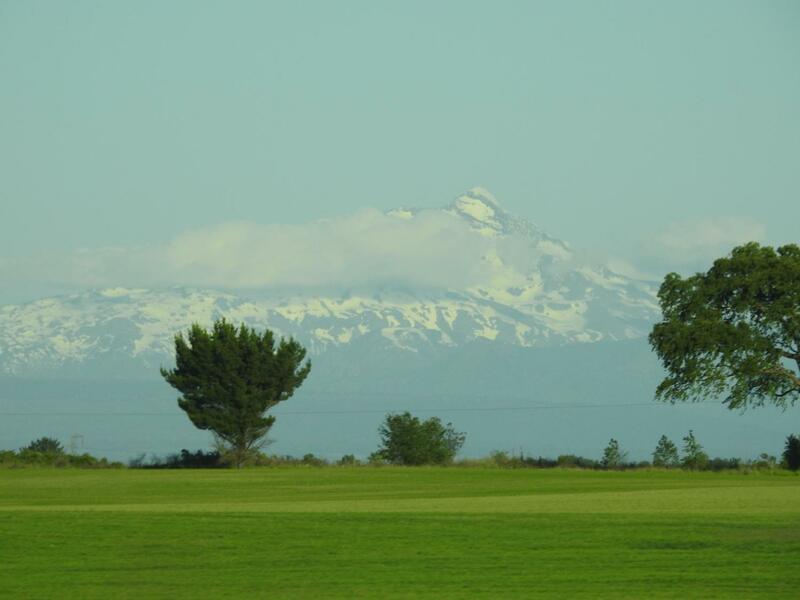 The majestic Volcan Lonquimay is a sentinel in the distance, 50 kilometers away from their green pastures. Anita, the eldest daughter of Francisca and Gabriel, has ten rabbits, twenty-seven chickens, a herd of sheep and about thirty head of cattle. 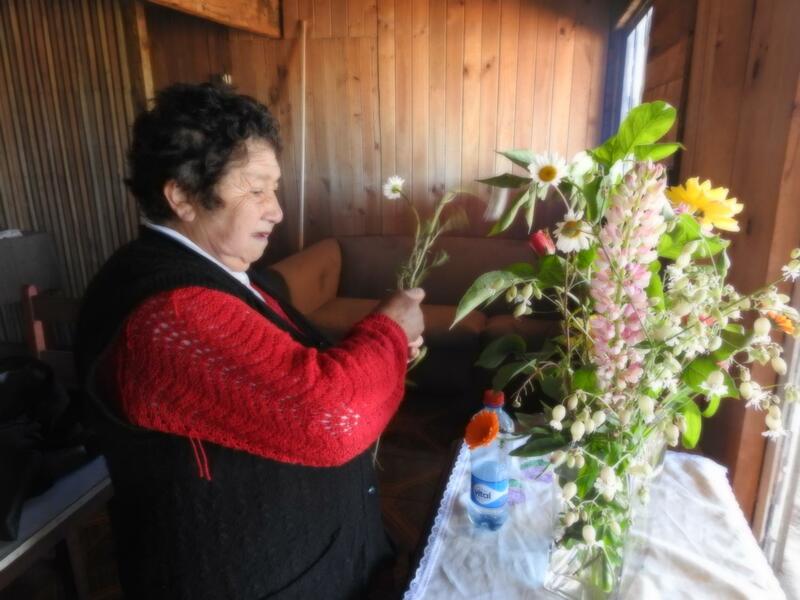 Abuelita arranges wildflowers collected from fallow fields close to their homestead. 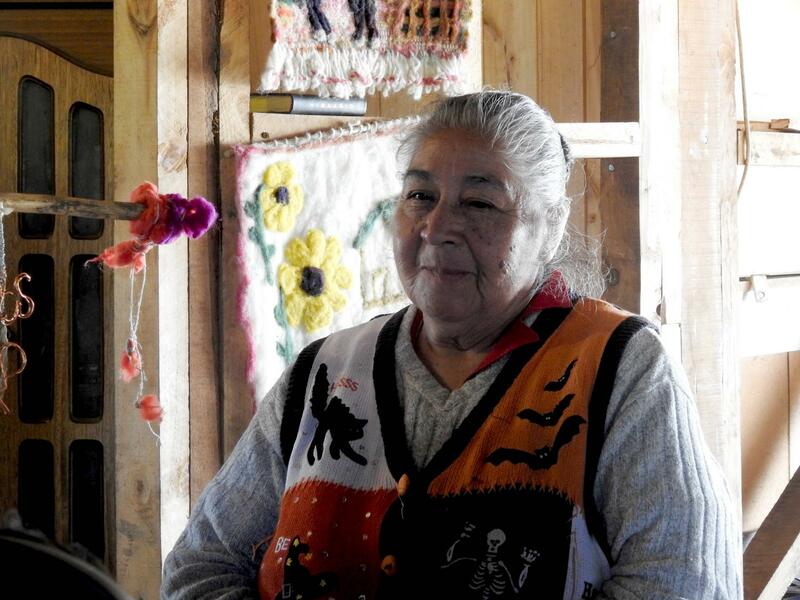 Although the land parcels are collectively owned, each homestead is managed by individual families. 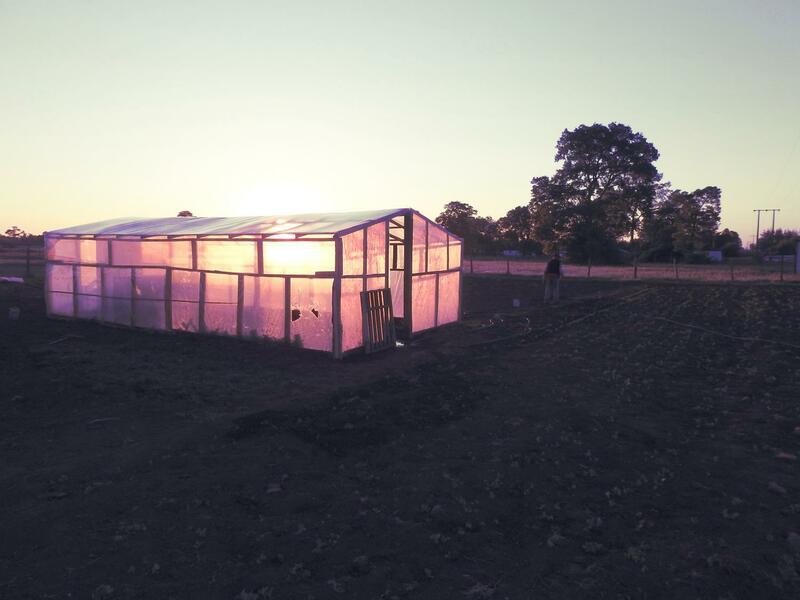 A DIY greenhouse, composed of plastic and re-purposed wood, shelters seedlings from inclement weather before the growing season begins. 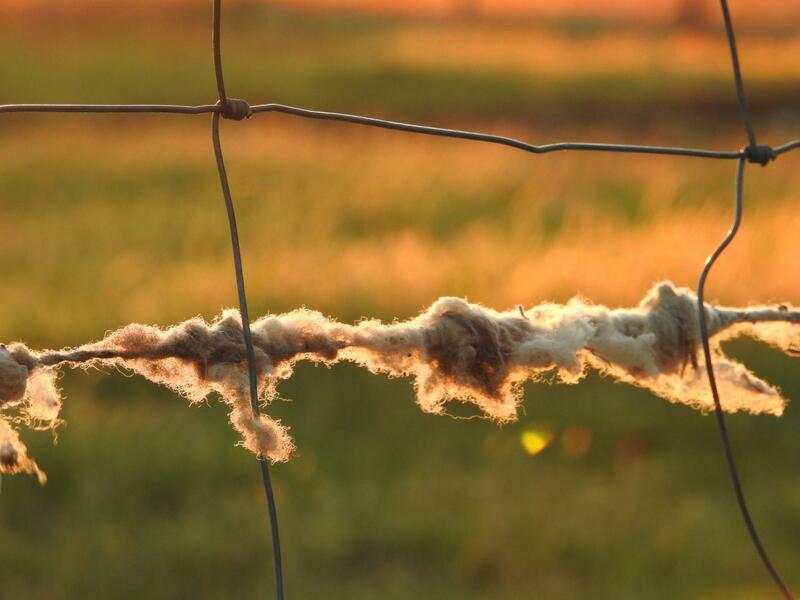 Sheep wool tangled in a barbed-wire fence. The family owns several sheep, one of which was slaughtered for a communal feast while we were staying with the family. 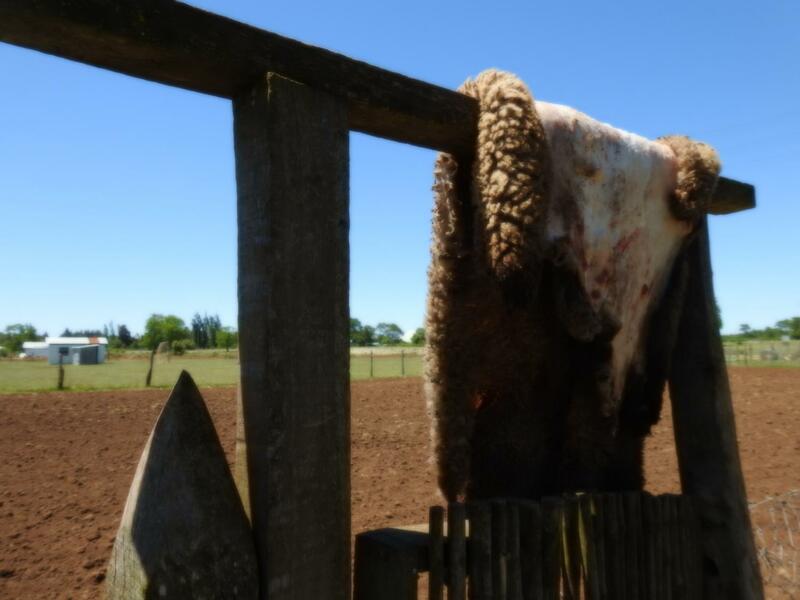 Drying the sheepskin - in a region with extensive poverty, nothing goes to waste on the homestead. 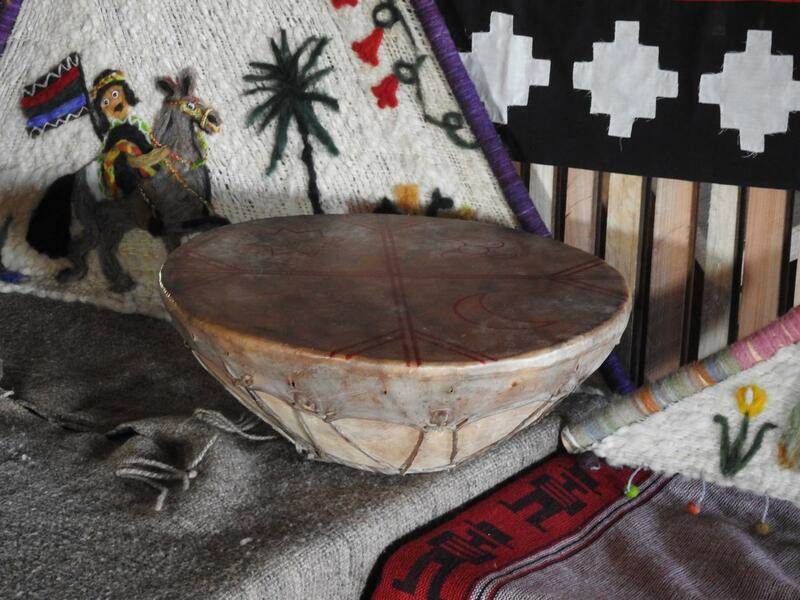 Making music at the water's edge - an essential ingredient in the recipe of Mapuche life is the joy of being in nature, appreciating and honouring her abundance and beauty. 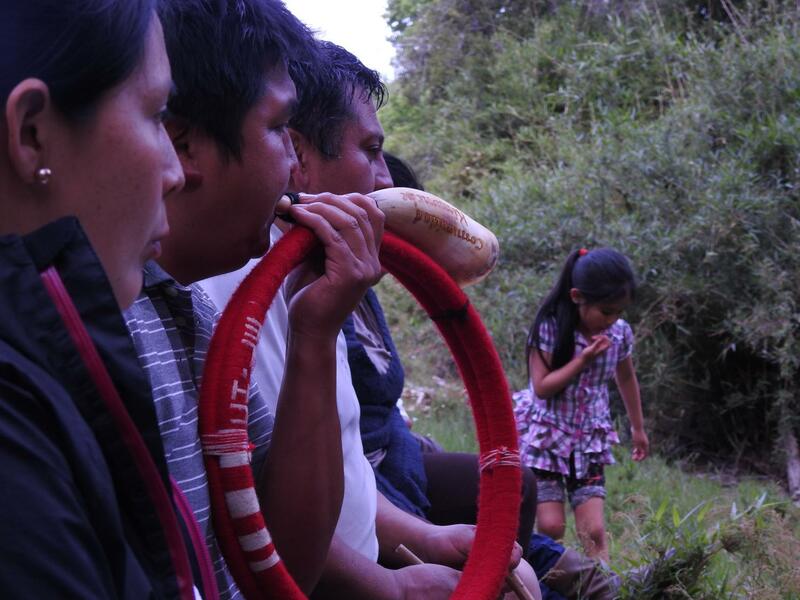 Here the extended family sits at the edge of the stream that runs down from the Andes and pay tribute to the water with music and song. Pasture where the family's sheep graze. 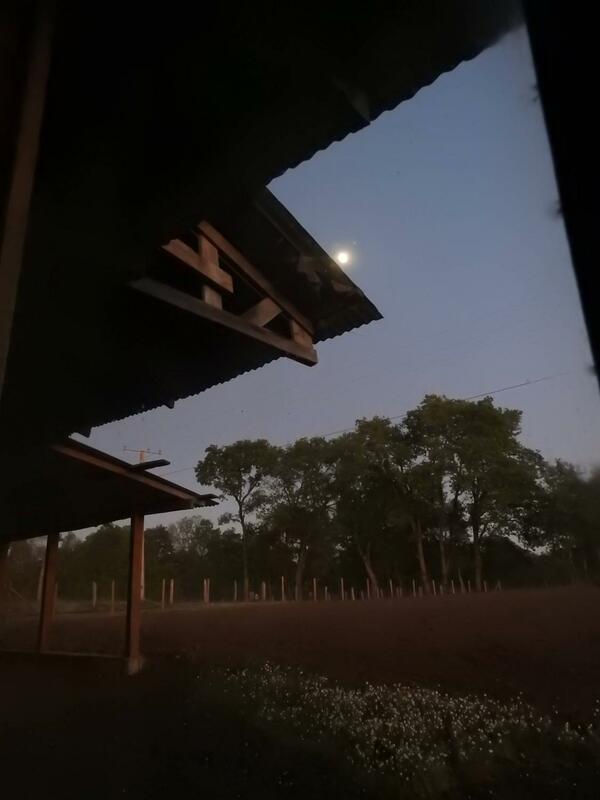 Sunrise/moonset. 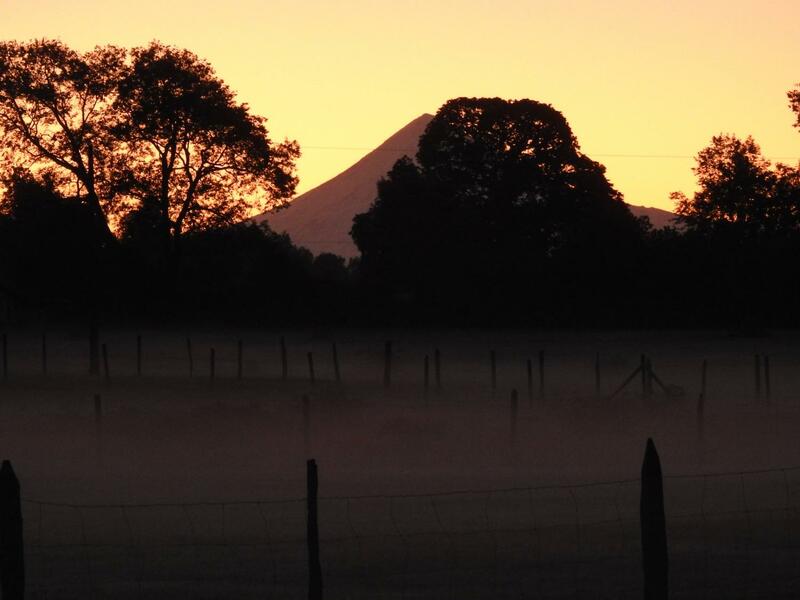 Waking to the frigid dawn in Juan Andres Cheuque. 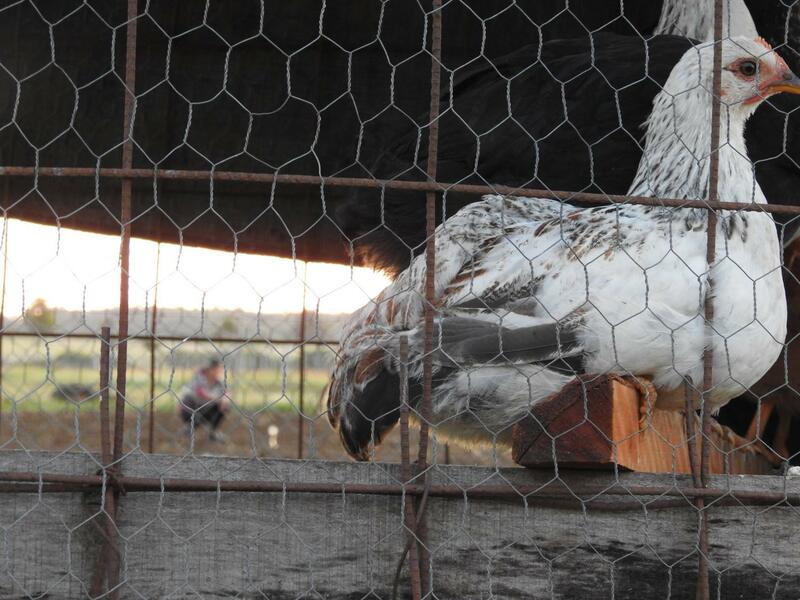 Anita's hen - part of Anita's responsibilities on the homestead include feeding the hens and rabbits. Kultrun: The power and spirit of Mapuche cosmology is conveyed through the beating of the ritual Kultrun, a medium-sized kettle drum composed of the base of a sacred tree with an animal hide stretched across the opening and symbolic markings painted on the skin surface. It is a ritual instrument played by a Machi or shaman. Wild honeysuckle grows in abundance along the path that leads to the steam. 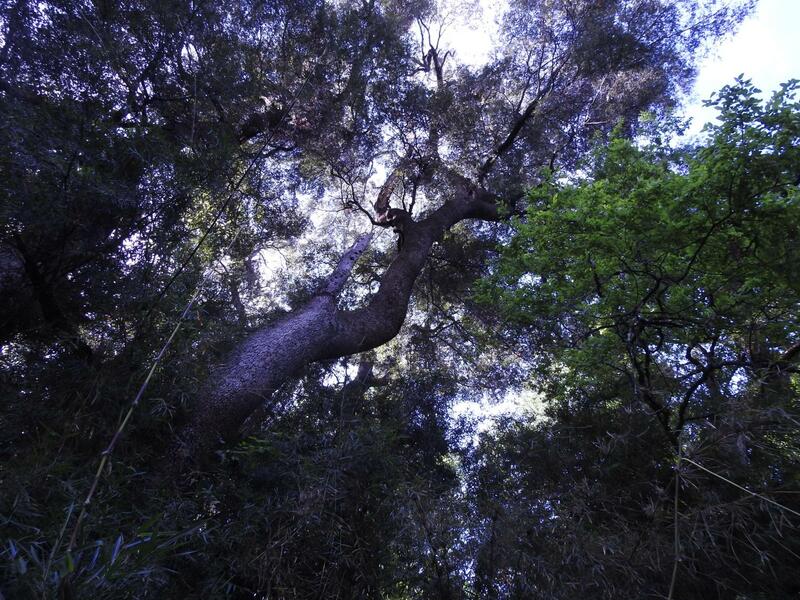 A natural forest canopy, quite unlike the manufactured forests of eucalyptus and pine.